Use of multi-boot setups, which allow users to have more than one operating system on a single computer. For example, one could install Linux, BSD, Mac OS X, Microsoft Windows or other operating systems on different partitions on the same HDD and have a choice of booting into any compatible operating system at power-up. 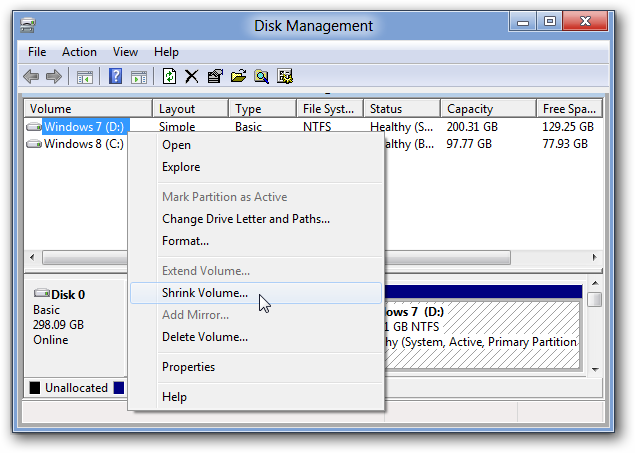 Reduces overall disk performance on systems where data is accessed regularly and in parallel on multiple partitions, because it forces the disk’s read/write head to move back and forth on the disk to access data on each partition and to maintain and update file system administration areas on each partition. It also prevents disk optimizers from moving all frequently accessed files closer to each other on the disk, which could reduce the number and distance of required head movements. Files can still be moved closer to each other on each partition, but those areas themselves will still be far apart on the disk. This issue does not apply to Solid-state drives as access times on those are neither affected by nor dependent upon relative sector positions. 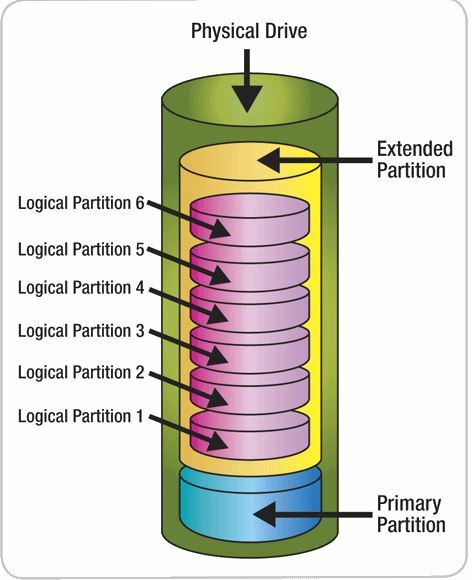 Increases disk fragmentation because it lowers the average size of continuous free blocks on each partition – as compared to a single partition of the same overall size – after the same amount of data has been written to them. May prevent using the whole disk capacity, because it may break free capacities apart. 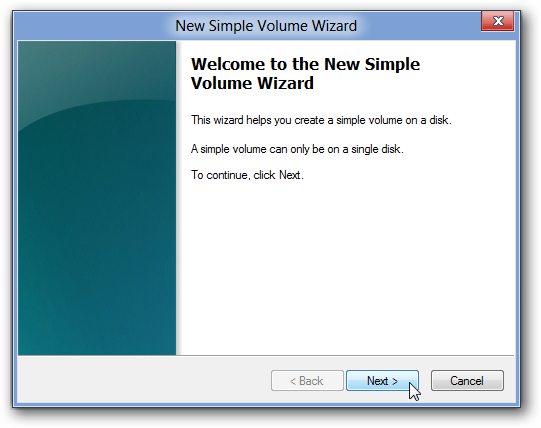 For example, if you have a disk with two partitions, each with 3 GB free (hence 6 GB in total), you can’t copy a 4 GB DVD image file on that disk, because none of the partitions will actually provide enough space for that – even though you have more than enough free capacity in total on the disk. If the same files on those two partitions would have been stored on a single partition spanning the whole disk, then the 4 GB file could be easily stored in the 6 GB of free space. Hurts portability and might impose constraints on how entities might be linked together inside the file system. 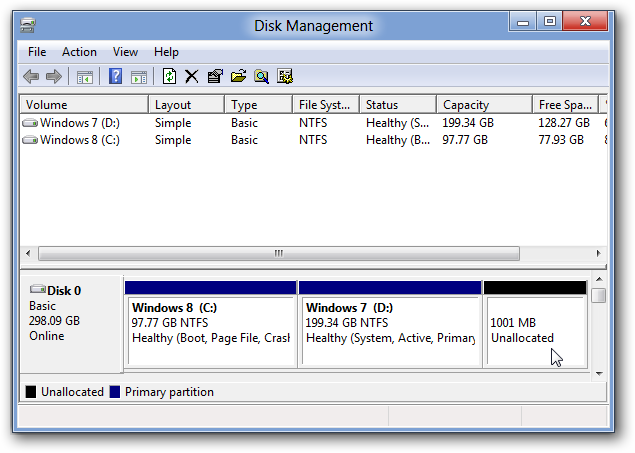 In order to create a partition, you need unallocated space. 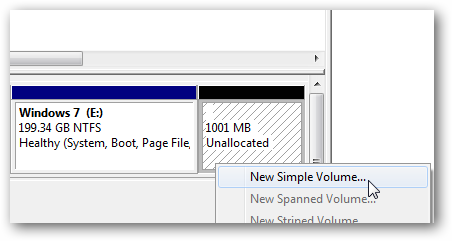 Unallocated space is basically disk space that is not formatted or not prepared for storage. 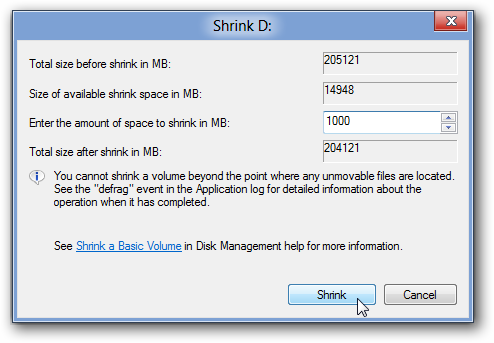 Formatting is the act of preparing a disk space for storage. It’s similar to establishing a foundation for a place to be inhabited. 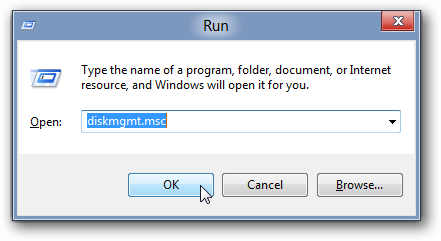 Thus, unallocated space is just useless blank space with no “foundation” or format. 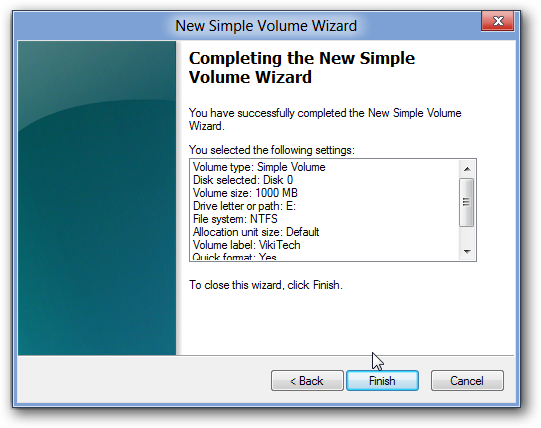 Now you need to create “new volume” and format the unallocated space. This will allow for the space to become usable. 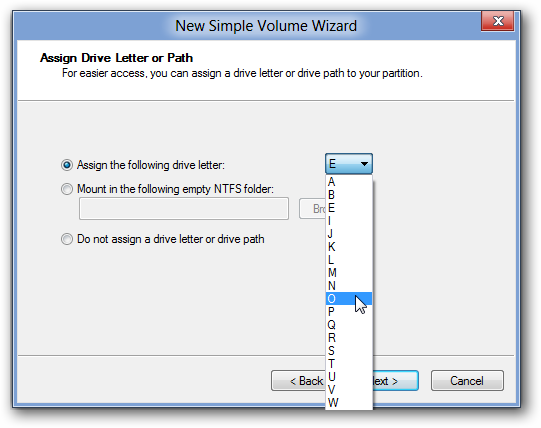 Name the partition in the “Volume Label” text box. You can choose any name for your partition.